It’s Australian Cherry and Summer Fruits Season! 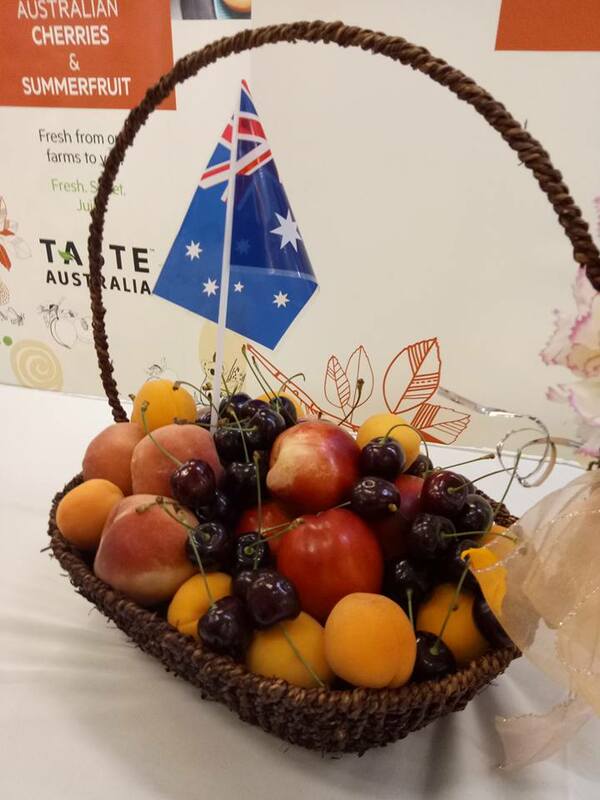 Time to indulge in fresh, juicy and delicious Australian cherries, peaches, apricots, nectarines and plums. Australia’s warm climate and hot, dry summers promote sweeter, juicier summer stonefruit, and its proximity to Asia enables lower freight costs and better access to fresh markets in the region. 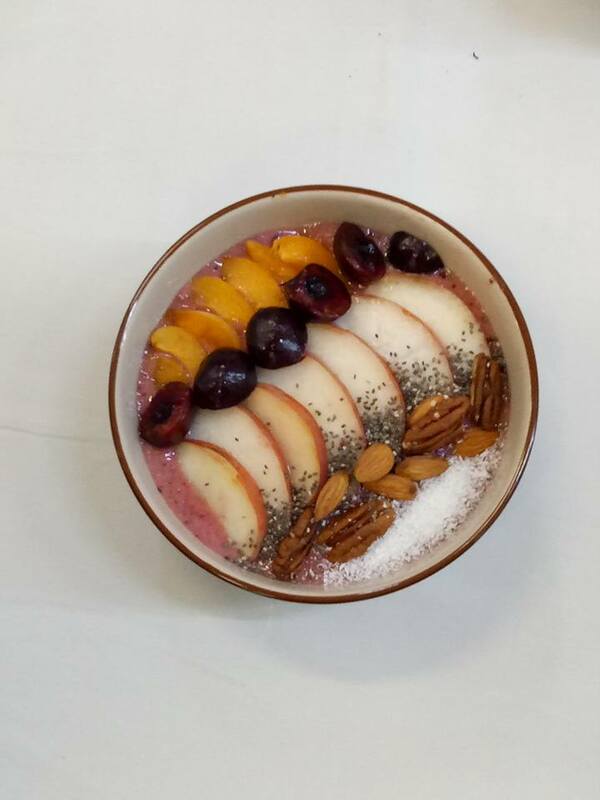 Rich in vitamins A, C and E and a great source of dietary fibre and potassium, Australian cherries, peaches, apricots, nectarines and plums are not just tasty but are nutritious and have countless health benefits. 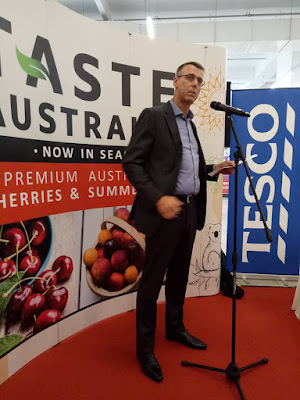 We were honoured to witness the launch of a host of summer fruits under the Taste Australia campaign was held at Tesco Kepong Village Mall last Thursday. 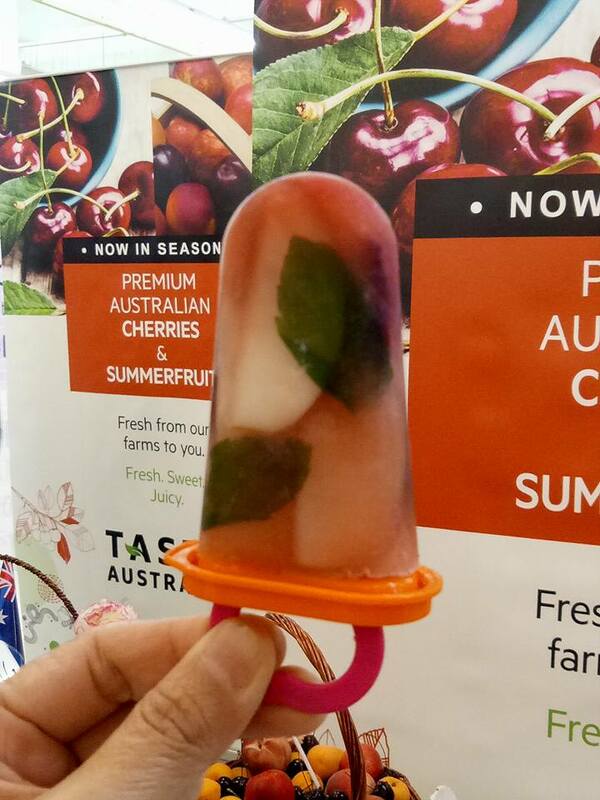 This national horticulture marketing campaign is coordinated by the State Government of Victoria (Australia) in collaboration with Austrade and Hort Innovation Australia on behalf of the cherry and summer fruit industries. Australia has a solid reputation for its high quality produce, with rigorous food safety measures throughout the supply chain. 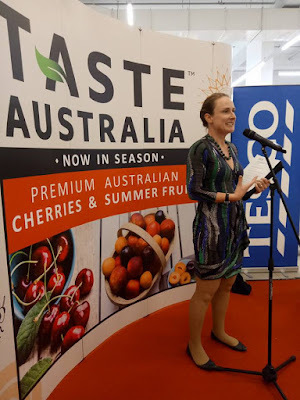 “Lots of sunshine, a clean and green natural environment, rich soil and blue skies are the reasons why Australian stone fruits taste better, is greener, is cleaner and safer,” said Ms Amelia Fyfield, The State Government of Victoria (Australia) representative. He went on to highlight that Malaysia remains one of Australia’s fastest growing export markets in Asean, with two-way trade in goods and services totalling almost AUS$18 billion in 2016. 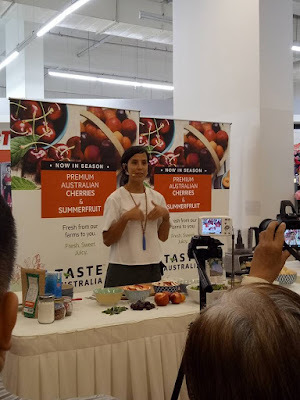 Ms Fyfield, also shared that getting cherries and summer fruits at their peak quality and availability is the best way to enjoy the freshest fruits at their tastiest. “Cherries and summer fruits are seasonal commodities and are best enjoyed fresh. We produce some of the best fruits in the market thanks to our farmers who bring with them generations of expertise, as well as our strong horticultural innovations which keep us at the top of our game,” said Ms Fyfield. Cherries, and summer stone fruits - peaches, nectarines, plums, apricots are one of the true joys of summer. Although best enjoyed on its own, these cherries and summer fruits are also a great base for the ever popular breakfast smoothie bowls, summer popsicles and smoothies as well as served alongside pancakes, yoghurts and in salads. Marissa Parry, Nutritionist and Health advocate demonstrated three refreshing recipes using the seasonal fruits – Breakfast Summer Smoothie Bowl, Fresh fruit popsicles and Fresh Summer Salad during the launch event. The gorgeous explosion of colours was a feast to the eyes and the dishes were a feast to the senses. 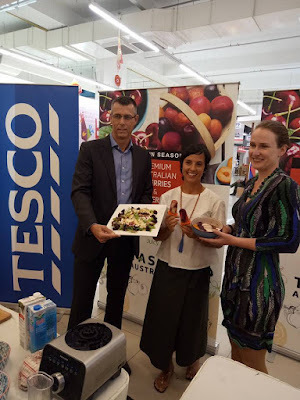 “Fruit platters, salads and popsicles are just perfect for our Malaysian weather which is akin to summer all year round,” said Marissa. “It’s best to taste them at their freshest while at the same time enjoy the nutritional benefits of cherries and stone fruits which are not just tasty but rich in vitamins and potassium while being low in fat, calories and sugar.” Marissa went on explain that cherries are considered a superfood on its own while nectarines are long known as the food of the gods. Peaches which contain a high amount of potassium are great for muscle function and is believed to make skin healthier while offering visionsupporting nutrients. Apricots support a healthy heart and eye function while aiding in digestion. Plums contain antioxidants which can fight off free radicals and protect the skin. 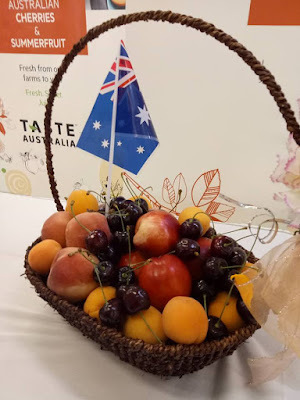 With Chinese New Year around the corner, a basket of Australian Cherries and Summer fruits would be make a delightful gift. During the festive season fruits are given as gifts, their round shape and colour are said to symbolize prosperity and bring the recipient good fortune throughout the year. Fresh fruits at the New Year symbolizes life and a new beginning. For instance, both in China and Japan the peach is associated with immortality and a long life. We also love to gift our family and friends a box of Australian Cherries during Chinese New Year. Tesco Stores (M) Sdn Bhd CEO, Paul Ritchie expressed his excitement at the Taste Australia campaign, “We are delighted to bring the best of Australian cherries and summer fruits at all our stores, and just in time to start the year eating healthy. Australia produces some of the best tasting fresh produce and it’s great that these summer fruits will be available throughout the Chinese New Year festivities as golden fruits symbolizes good fortune,” he said. 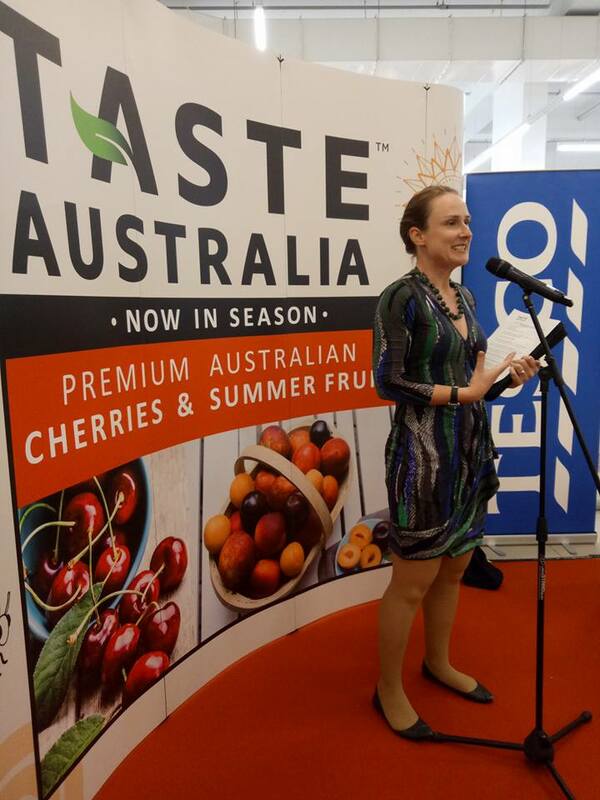 Look forward to special promotions of Australian cherries and summer fruits at all Tesco outlets. 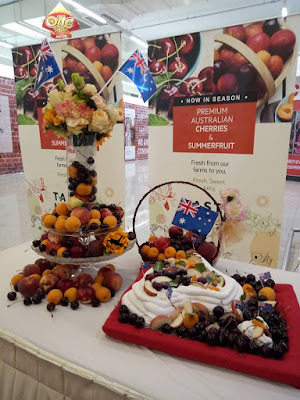 Australian cherries and summer fruits will also be available at leading supermarkets and hypermarkets throughout the season.